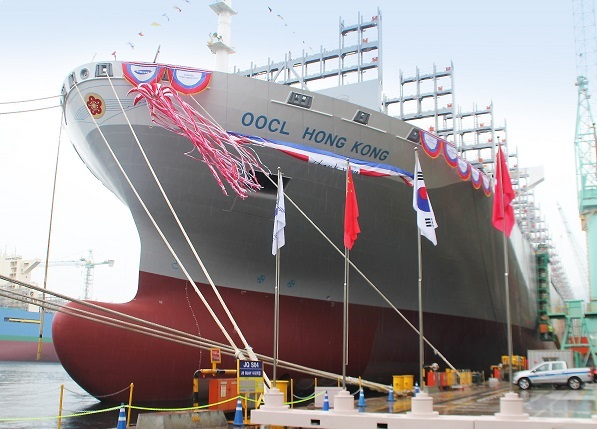 OOCL announced on Friday (May 12) the naming of its latest containership, the OOCL Hong Kong, at a christening ceremony held at the Samsung Heavy Industries (SHI) shipyard on Geoje Island. 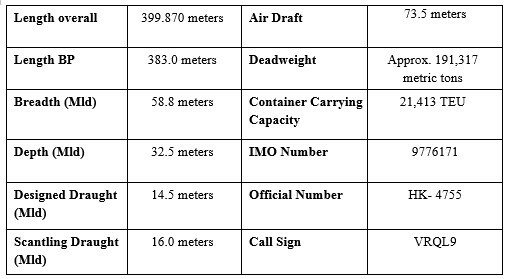 The OOCL Hong Kong was also celebrated as one of the largest containerships in the world by carrying capacity, and will be a welcome addition to strengthening the OOCL fleet this year. In his ceremonial remarks, Mr. C. C. Tung, Chairman of Orient Overseas (International) Limited addressed the importance of this occasion for the company. Among the Company’s distinguished guests at the ceremony were the Vessel Sponsor, Mrs. Mylene Seah, her husband Mr. Peter Seah, Chairman of DBS Bank - Guest of Honor at the event, as well as his colleagues representing the bank. 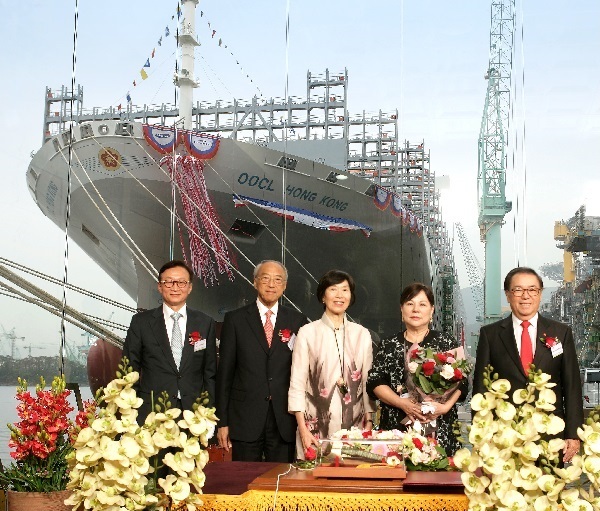 Three years ago, the support that DBS provided towards the financing of OOCL ships marked a wonderful expansion in Company’s work with the bank. “Your recognition and faith in OOCL as a business partner is a huge encouragement to us as the company continues to build the business from strength to strength by delivering exceptional products and services to customers, maintaining a healthy financial position and building a world class fleet,” said Mr. Tung in expressing his gratitude to DBS Bank. In his remarks at the ceremony, Mr. Seah also thanked OOCL for the collaboration over the years and for the invitation to the celebration.